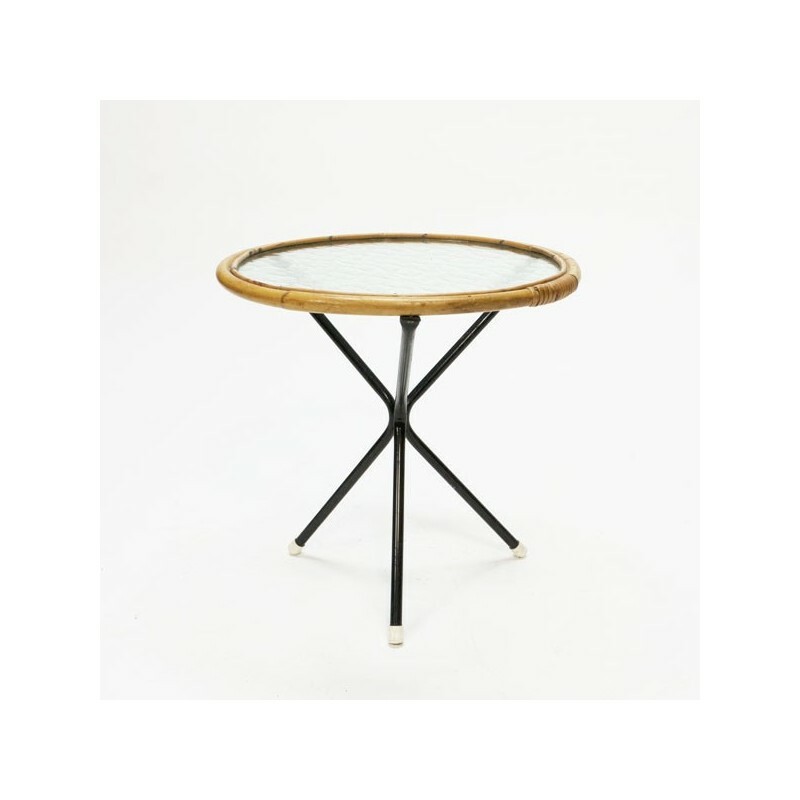 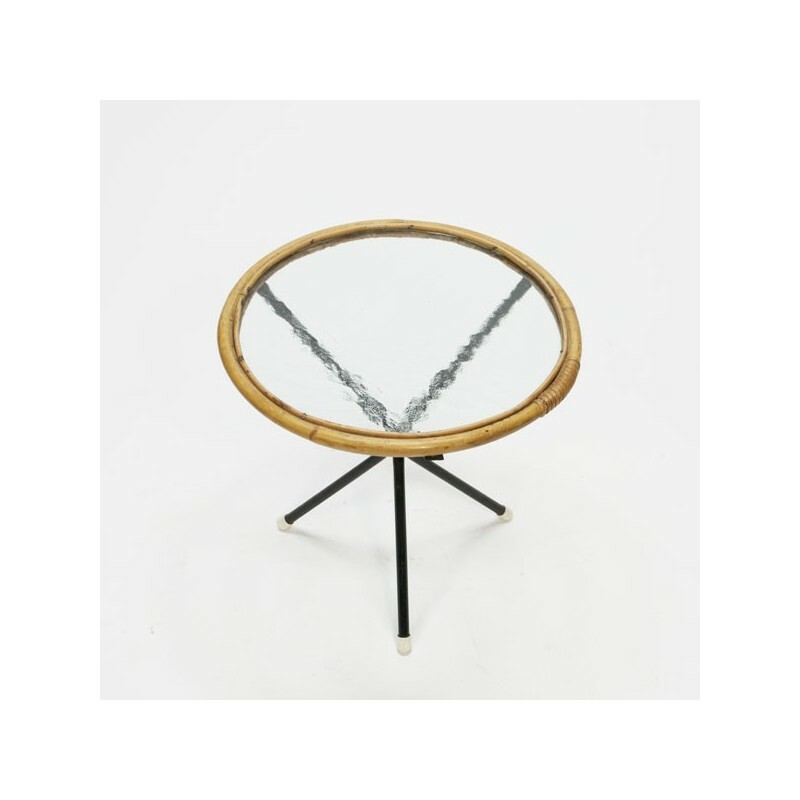 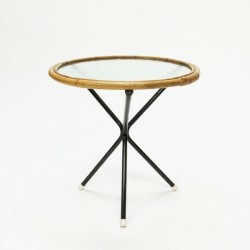 Vintage table made ​​of bamboo/ wicker with a glass top. 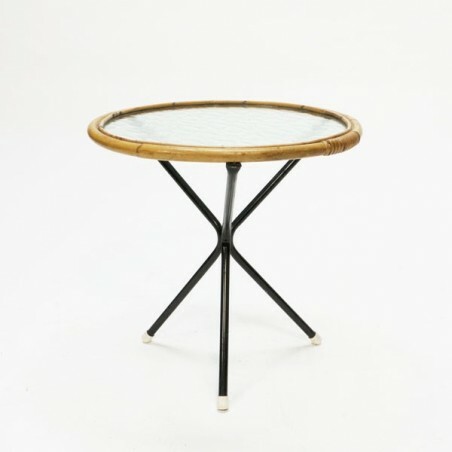 The table is in good condition, see also the detailed pictures. 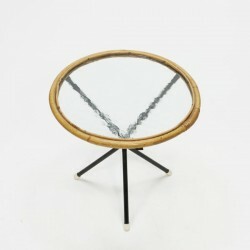 The size is 39 cm in diameter and 39.5 cm high.